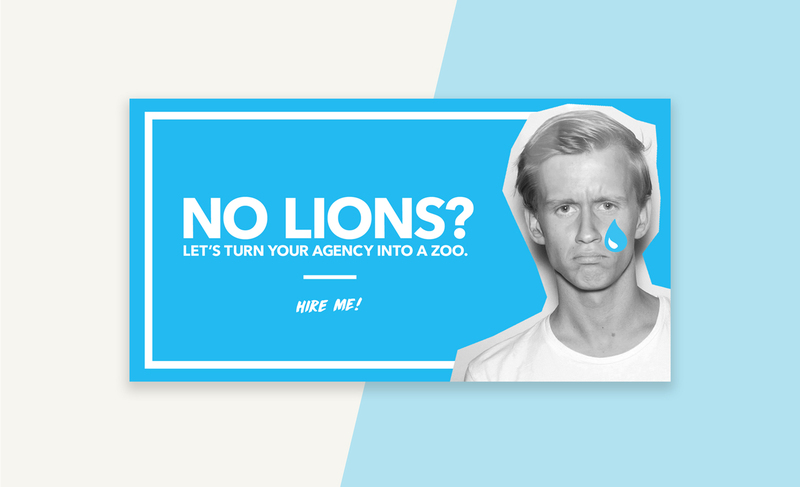 Two Miami Ad School students are hunting for jobs at Cannes without even being there. 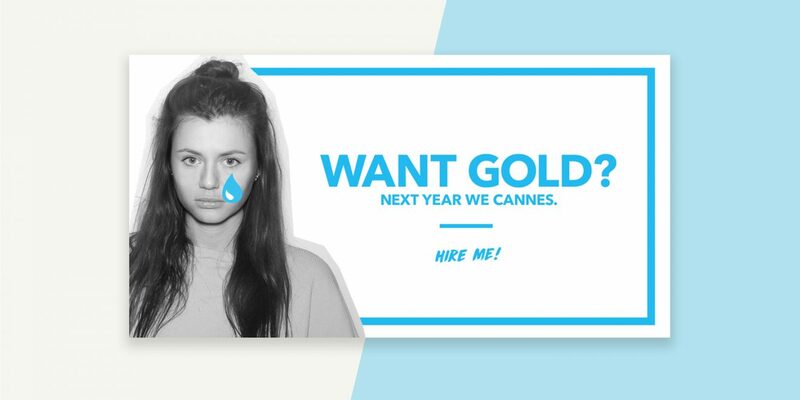 CANNES, France–How do you make a splash at Cannes and land a major agency gig when you can’t cough up money or spare the time to actually attend the festival? 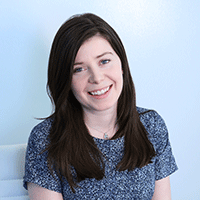 Oscar Gierup and Kristina Samsonova, two students about to graduate from Miami Ad School, came up with an idea to reach agency leaders where they’re likely to be spending a good chunk of their time over the next week–on their smartphones and on Facebook. The duo created a series of sponsored Facebook ads in a move they hope will help get their portfolios in front of some of the industry’s biggest names. In all, they spent just $120 to pull it off. The best part of the stunt is that the ads are geo-targeted to run in Cannes, so only people in the area will be able to see them. Gierup and Samsonova also filtered their posts to specifically target people working in advertising or related fields. The ads will run through June 24, so if you’re in Cannes, be sure to keep an eye out when you’re scrolling through all those pictures of rosé in your Facebook time line. Underneath each image or ad, there’s a link to either Gierup’s or Samsonova’s portfolio.